With a major investment in a computer dispatch system the company can now give a better service to the people of Rochdale. In 2010 Town Taxi Ltd implemented 21st century technology to make on-line booking available to the customer. Town Taxi Ltd is a diverse company with an equal opportunities policy. The company policy is “The customer is always right”. All bookings are logged onto the central computer and dispatched to the nearest vehicle. Vehicles are tracked via “GPS”. All vehicle journeys are metered to ensure the correct fare is charged to the customer. Bookings in the central computer are retained for a period of 12 months. The company operates a dress code for all drivers. All telephone calls are recorded for training purposes, and the protection of the customer as well as the company. 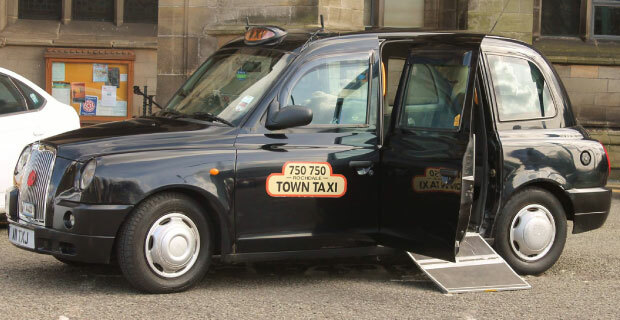 When travelling with Town Taxi, if the meter is not on when travelling do not pay the driver, take the number of the vehicle, and please give it to Town Taxi on 01706 750750. The only exception for a meter not being on when travelling is when there has been a pre arranged price when booking the vehicle through the office.